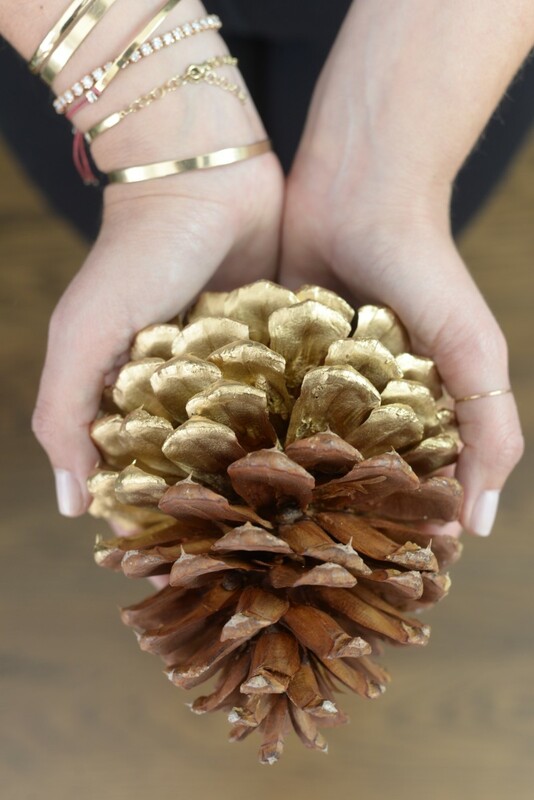 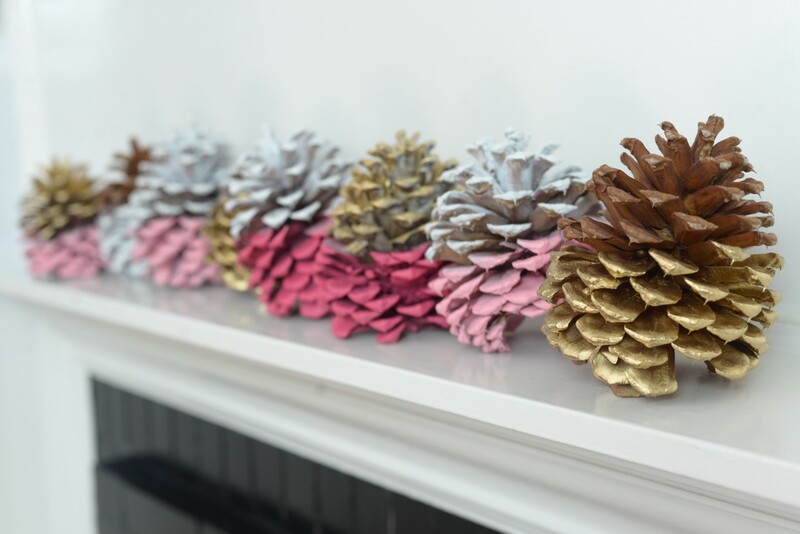 A simple, festive way to brighten your mantle or holiday centerpiece. 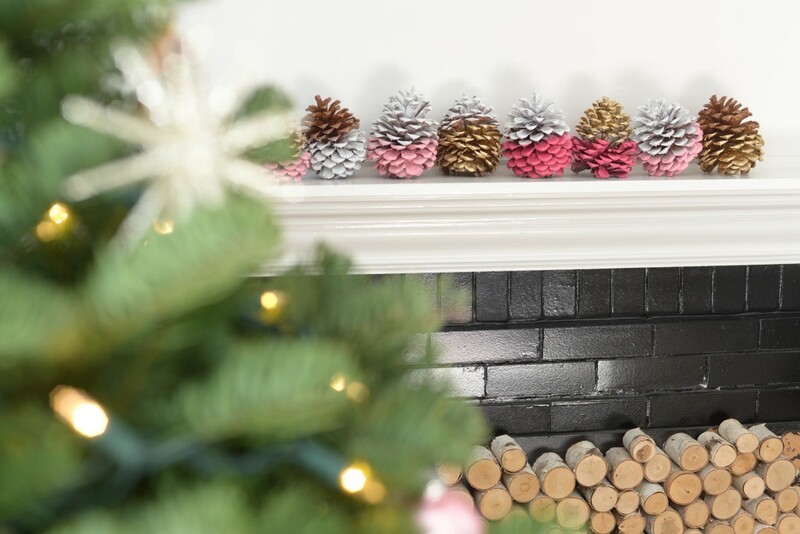 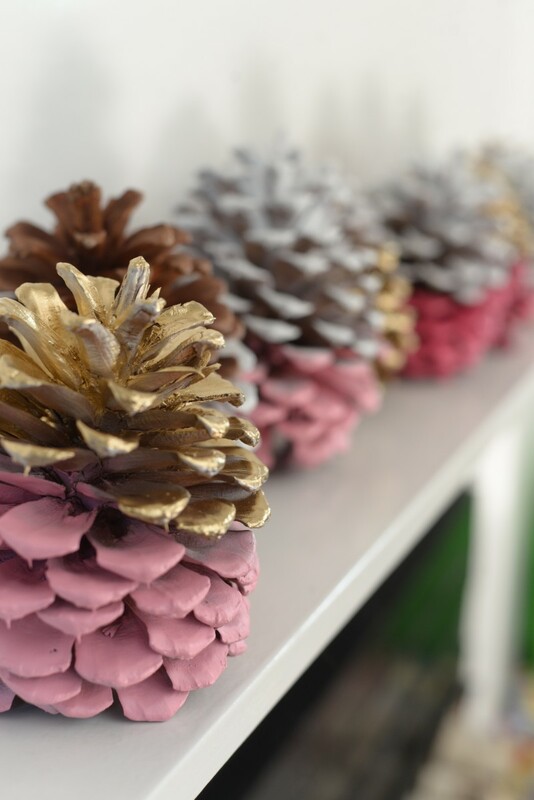 Before starting, we picked out our colors—white, light pink, raspberry-pink, and gold—then mapped out our plan for each of the eight pinecones to make sure we had a good variety of different colors on top and bottom. 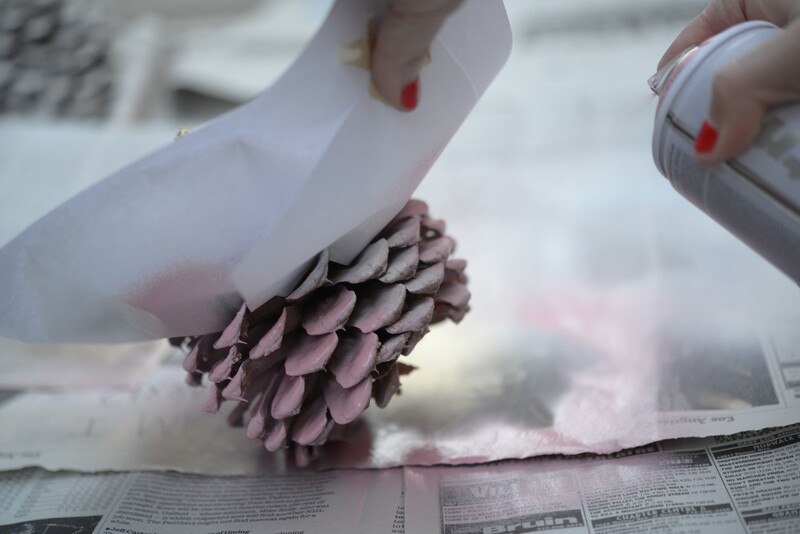 For the pinecones we planned to paint light pink, we began by setting down newspaper outside, then spray-painting the entire cone white to act as a primer. 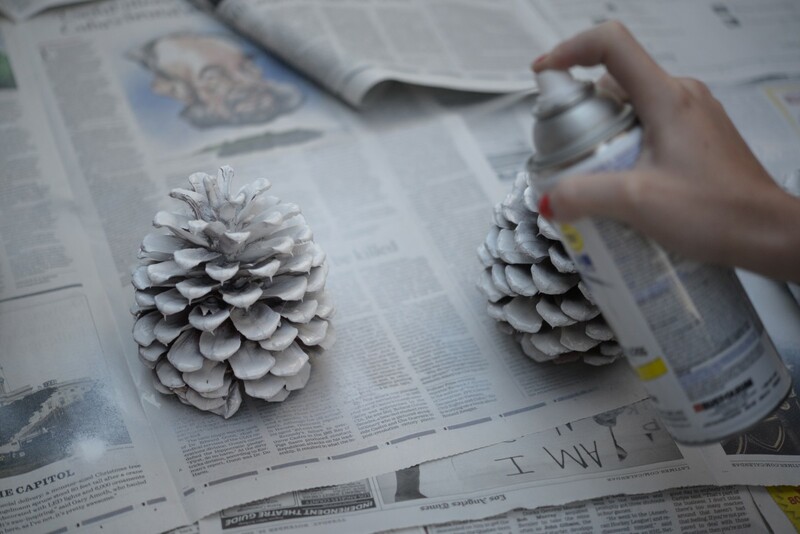 While we allowed them to dry, we started painting and prepping the rest of the cones. 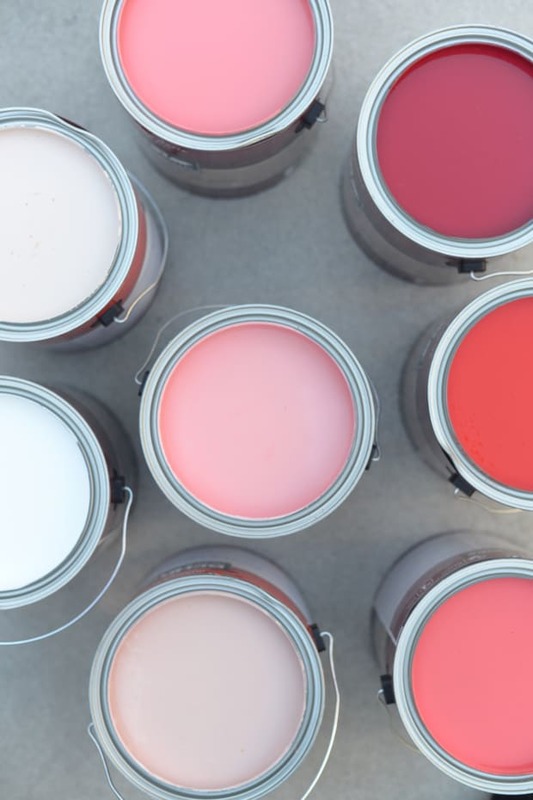 To separate the colors on top and bottom, we used a piece of printer paper and sandwich-sized plastic zipper bag to function as a guard while painting one section of the cone. 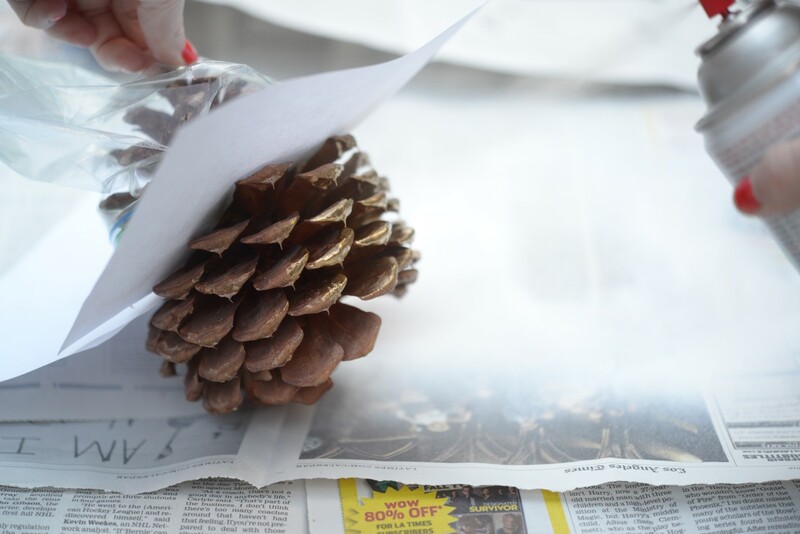 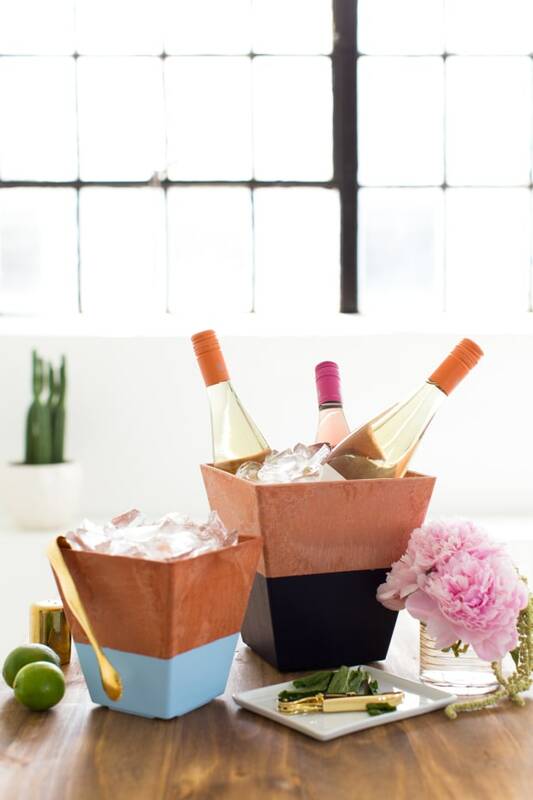 To do this, we cut a three-inch wide hole in a standard-sized piece of printer paper and wrapped it around the cone, then taped it into place to secure it. 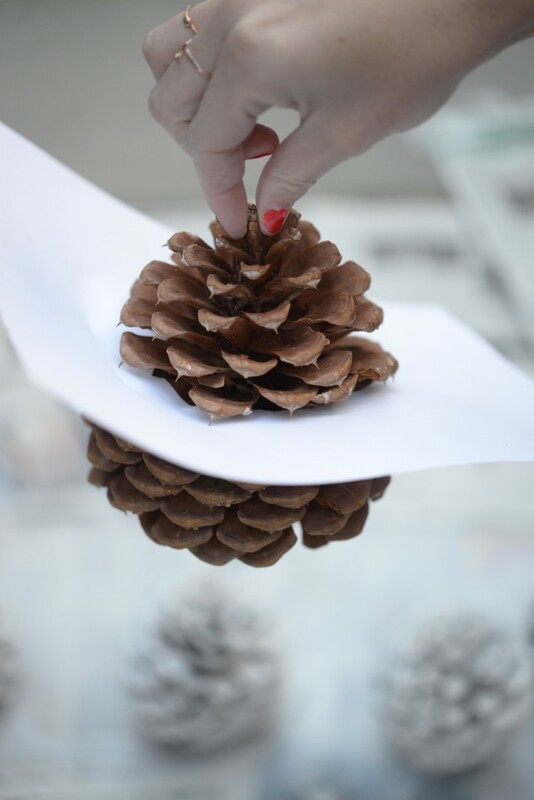 Since we didn&apos;t want the cones to look too precious, we didn&apos;t worry too much about the paper being straight across, but just followed the natural pattern of the scales all the way around. 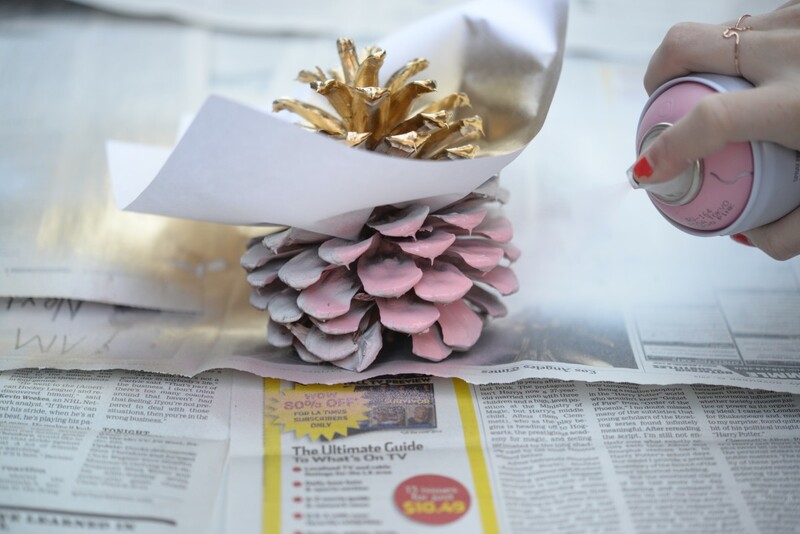 Once secure, we spray-painted the top, then the bottom of the cone, holding the can about six inches away and spraying with even back-and-forth motions. 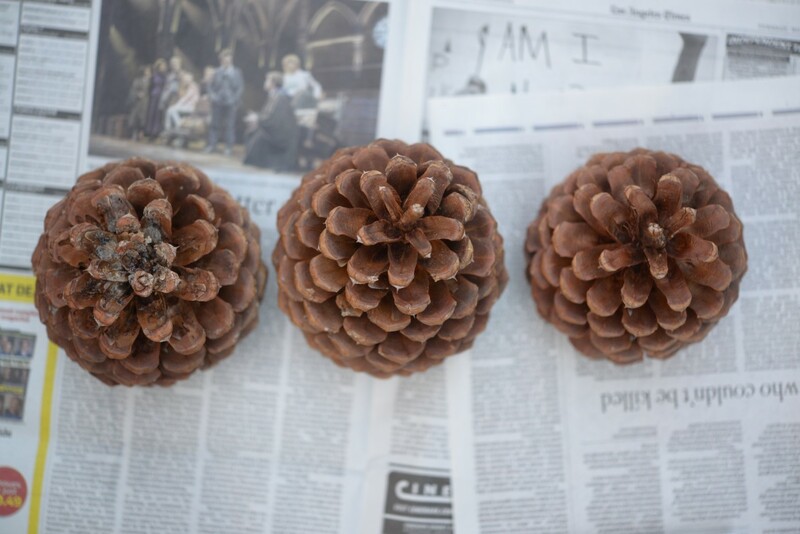 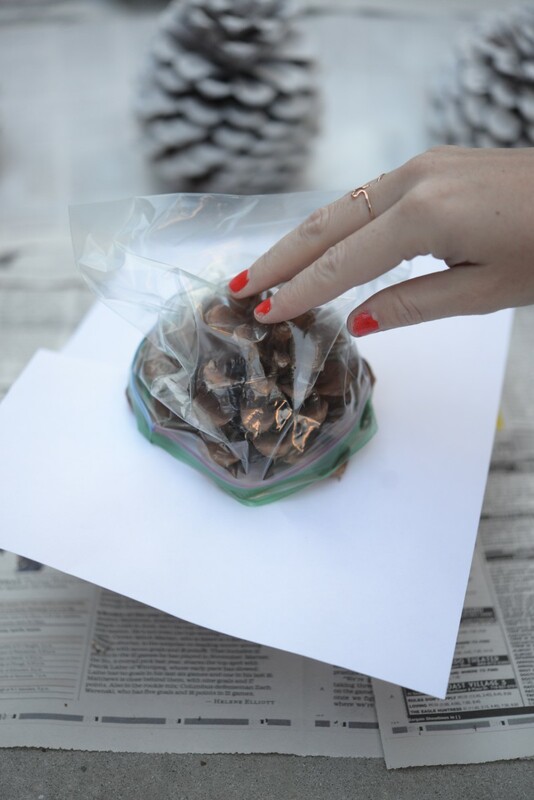 As we became pinecone-painting pros, we felt confident enough to just use the piece of paper and ditch the zipper bags. 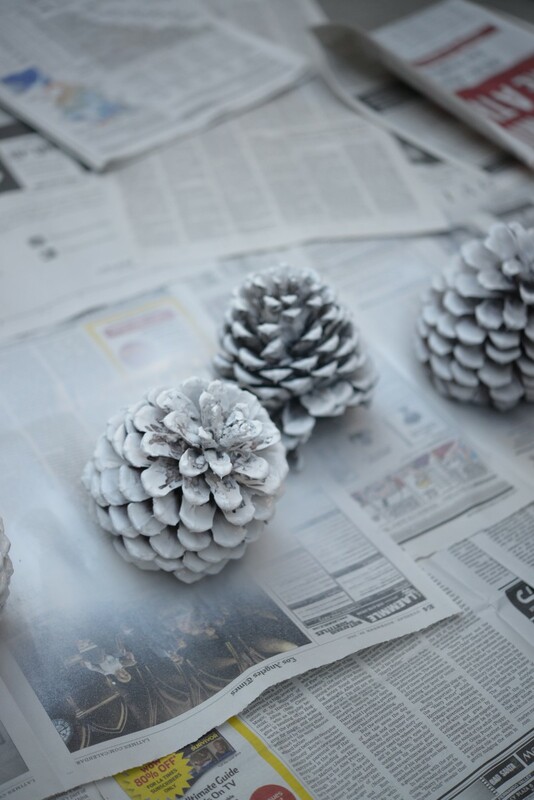 Once each pinecone was fully painted, we allowed them to dry for an hour before removing the piece of paper, then did minimal touchup on a few spots. 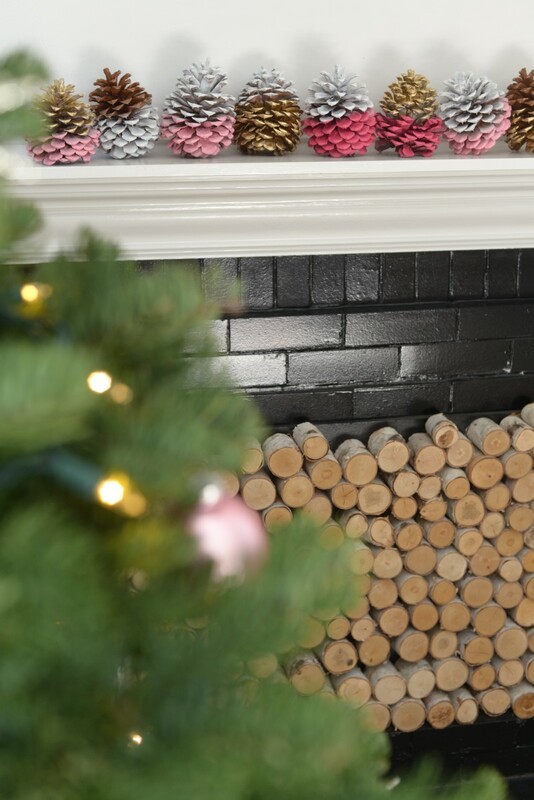 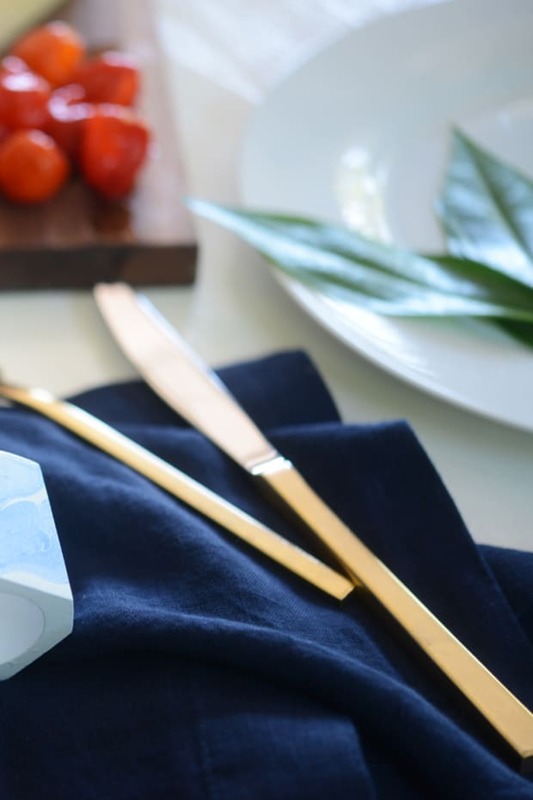 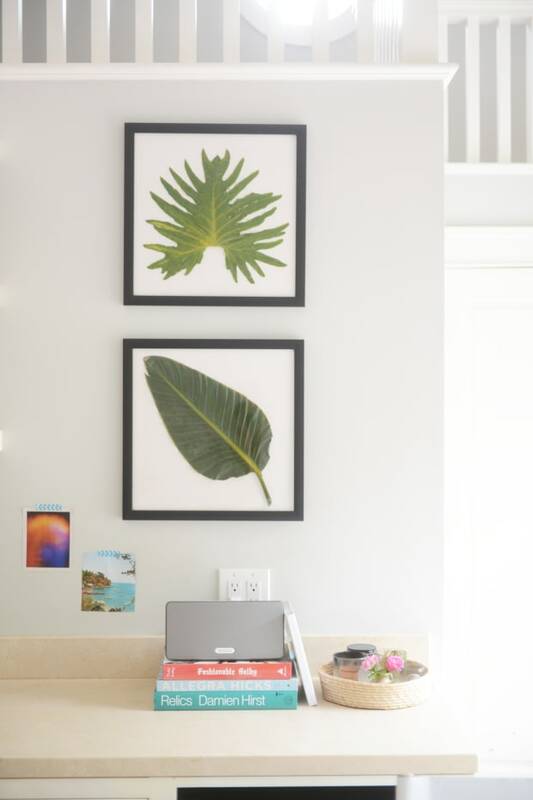 We couldn&apos;t be happier with the final product, which looked sleek and darling on the mantel—see for yourself below.